Finding right subtitles for your movies and TV show is one of the most painful task and sometimes it will take so much time to find the correct subtitles for the video. On the web you can find lots of website which give you the option to search the subtitles for you favorites movies. In our previous articles we shared about some tip to get the subtitles automatically, you can check some of our articles here Download Subtitles for Movies Automatically In VLC player and Download Subtitles Automatically On Media Player Classic. Today, in this guide we are here to share a new method which helps you to find the subtitle in much easier way. 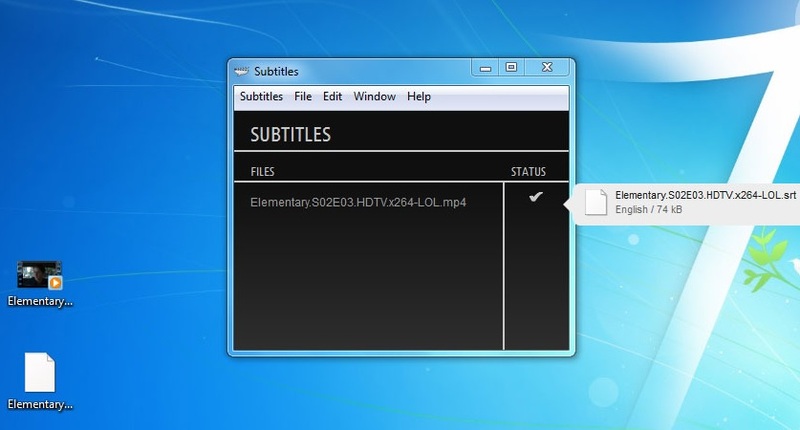 To get started all you need a Subtitleapp, a free application for all windows and MAC users. Subtitles supports any type of video, it doesn’t matter which codec or extension your file uses. Supports more than 40 languages and its interface is translated to English, Spanish, German, French and Italian. Lets take a look how the application works on the MAC and Windows systems. Visit the subtitlesapp.com website and install the application on your MAC or Windows. You can find the direct download link at the end of this post. Once the app is installed on your computer, you will see the new shortcut icon on your desktop. Now open the app and drag and drop the video into the Subtitles app window, and let it work its magic. Once the file is dropped on the application, it will automatically search for the correct subtitle and save the subtitle file on the movie or video folder, and even names it exactly, so that it will automatically get loaded once you play the video. Subtitles analyzes the contents of the video files, so it works even if your videos don’t have the correct name. 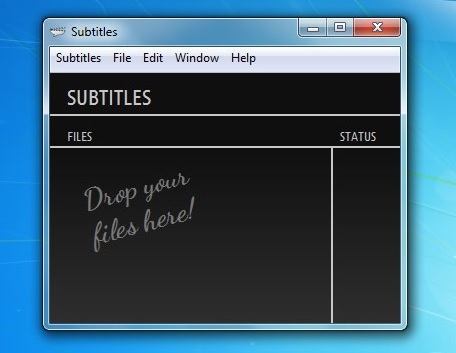 Subtitles is and easy to use program and free of cost and works on all Windows XP, Vista, 7, and 8 and Mac machines.